For standout style within your living space, embrace the glamour of the Black-Tie TV Cabinet from the Daytona range by Signorini & Coco. 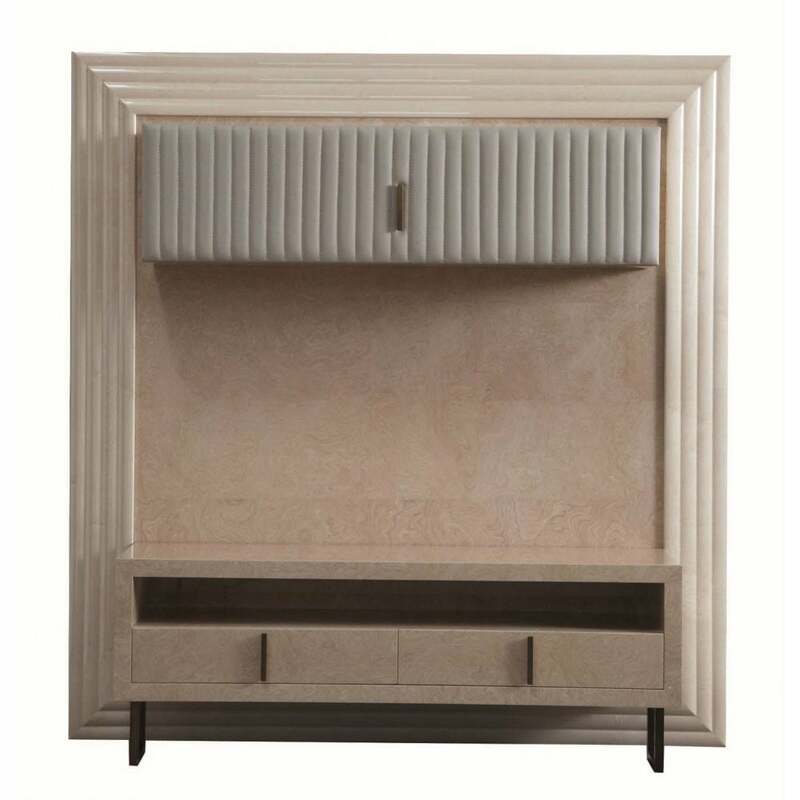 The luxury TV cabinet features a statement upholstered backboard enhanced by a beautiful grosgrain leather. The surround and lower cabinet are handcrafted from a deep myrtle veneer, complemented by exquisite burnished brass handles. The combination of luxury materials and fabric emulates a contemporary glamour reminiscent of the art deco era. The Black-Tie TV cabinet is available in a range of fabrics and finishes with many options to choose from to suit your interior. Contact us today for a bespoke quotation.